EURUSD is probably building a consolidation around recent lows. 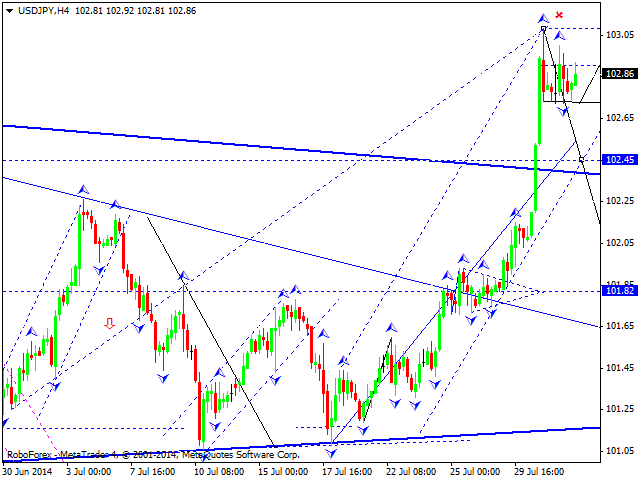 I assume that this structure can be the part of reversal pattern. 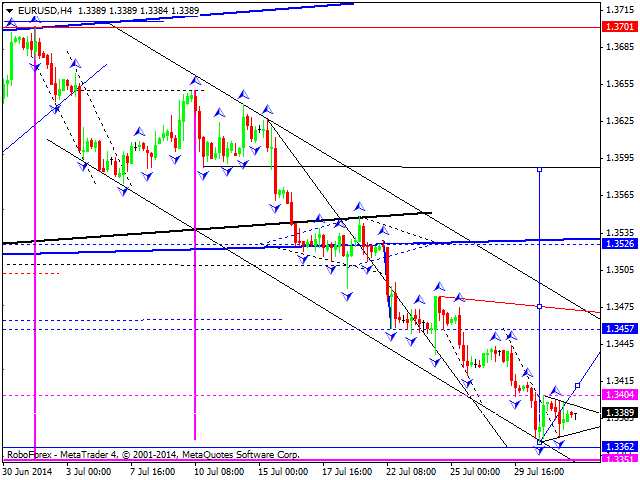 As basic scenario for today, I will expect retracement to 1.3590. As an alternative, price can first renew low, and rise only after that. 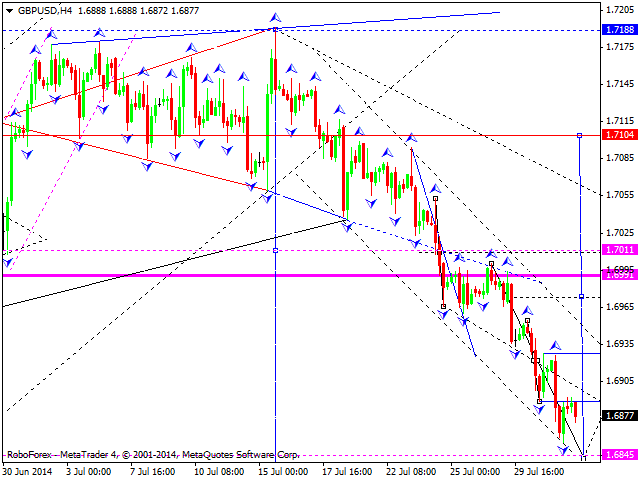 GBPUSD is continuting to move inside descending channel. For today, I expect that 1.6845 might be violated. After that, I will look for possible consolidation with further reversal structure and continuation of the uptrend. USDCHF is building consolidation. I expect that it might be the part of possible reversal structure. 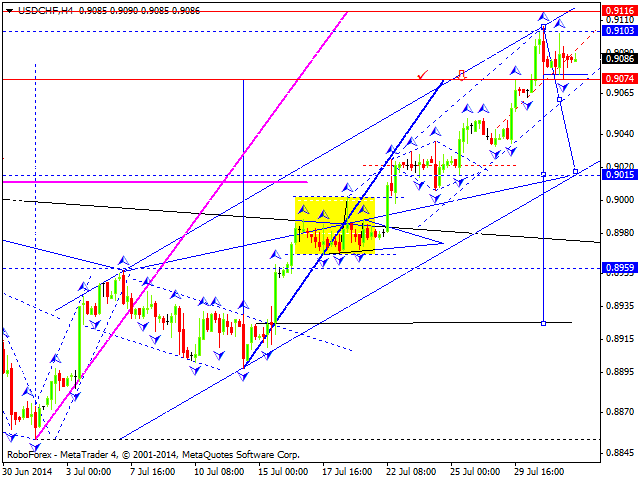 As a basic scenario, I will expect descending wave to 0.8930. I will not exclude that price might renew highs first, and decline only after that. 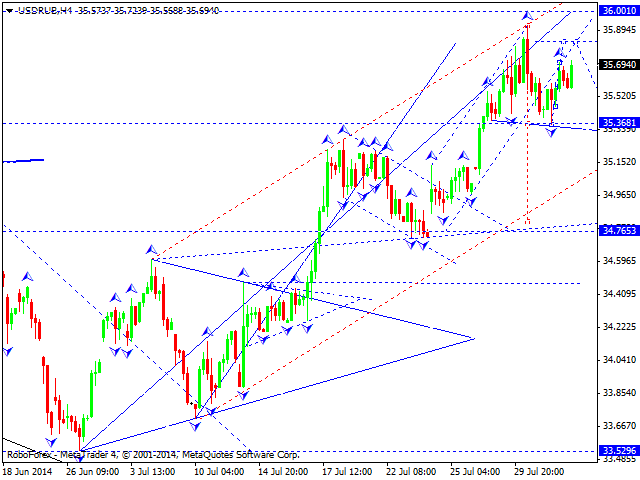 USDCHF continues to consolidate on the top of the ascending wave. I assume that it can be the part of reversal structure. As a basic scenario, I will expect ascending wave with 101.70 as a target and continuation of descending impulse with target of 99.30. 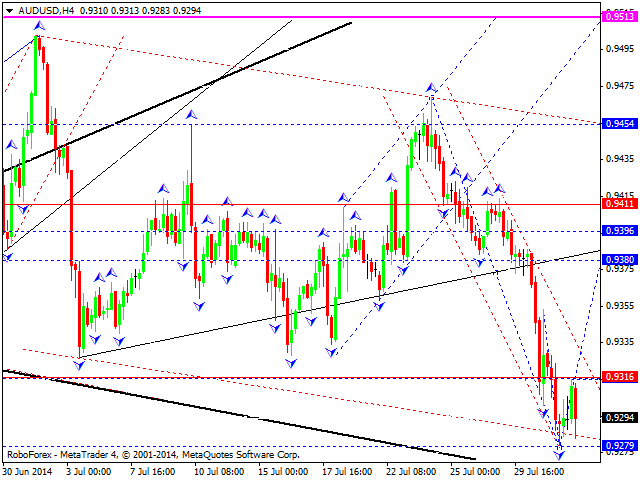 AUDUSD continues to move within descending structure. Potential of this wave can be already exhausted. For today, I expect that consolidation will be continued, but might be extended to the upside with possible further ascending wave with 0.9510 as a target. Russian rouble is probably continuing to move in ascending structure. For today, I assume that 35.81 might be achieved. After that, I will expect that descending impulse might resumed with 34.70 as a target. 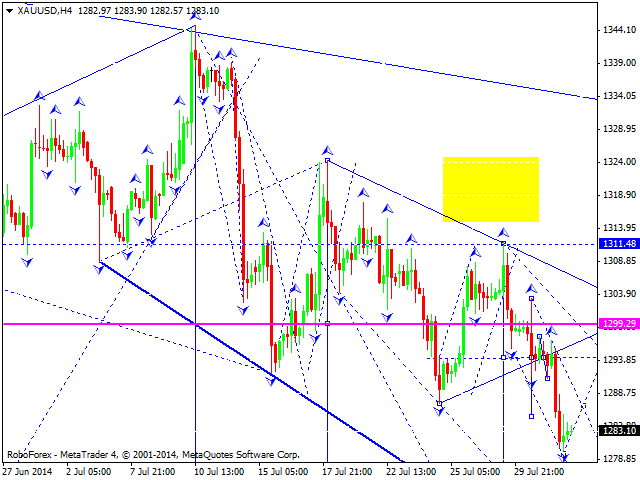 Gold continues to move within descending structure. I expect consolidation around recent levels with further breakout to the downside and achieving 1275. After that I will expect that price can retrace to 1300.